The new high-end food offerings will test whether Starbucks can sandwich investor expectations with artisanal attitudes. 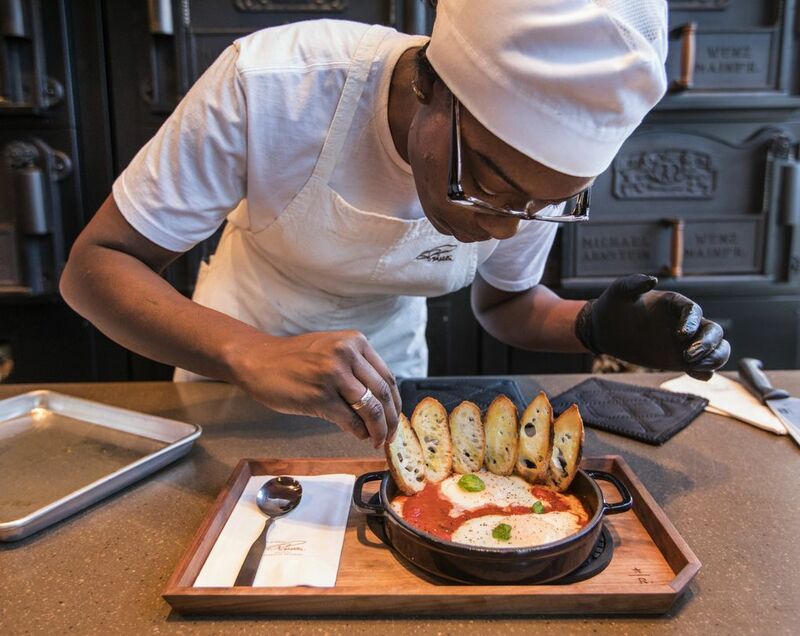 Starbucks is taking Howard Schultz’s romance with Italian espresso and food to a new level with Tuesday’s unveiling inside the Starbucks Roastery of a high-end shop inspired and implemented by master Milanese baker Rocco Princi. Rows of fresh, round loaves of bread with the Princi name baked into the top rise over racks of buttery croissants and pastries of all sorts, backed by an impressive wall of cast iron ovens. A rotating menu ranges from pizza to a spongy “Delizia al Limone” dessert at $11 a slice. Along with the attached cocktail bar, Princi underscores Starbucks’ long-running agenda to meaningfully extend its business into the evening hours. The opening is the first step in ambitious plans to take Princi’s handcrafted food — with all ingredients supplied by the small-scale Italian cheesemakers, charcutiers and other producers whose photos Rocco Princi carries on his mobile phone — into hundreds of new highbrow locations. The effort will test whether Starbucks has found the right recipe for sandwiching together investor expectations and artisanal attitudes, or whether it once again will encounter disappointment outside the premium coffee category that the company pioneered. Howard Schultz is against a lot of things. Here's a look at what he's for. Schultz said he counts his meeting with Rocco Princi as the second of “two epiphanies” in Italy — the original being when he first encountered Italian espresso bars, “which really kind of propelled Starbucks” in its formative years. Princi — pronounced the Italian way, with a “ch” — himself has previously opened only one satellite of his Milan bakery, in London’s Soho district. 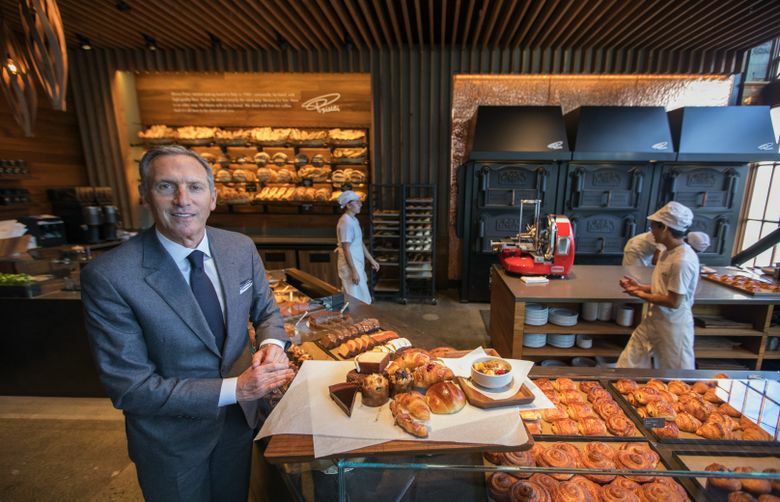 Only after visiting the Roastery on Capitol Hill two years ago, said Schultz, did Princi agree to the partnership and investment in expanding his bakery that Starbucks announced in mid-2016. Lessons, and perhaps products, from the Princi line may also find their way into the conventional Starbucks stores, but “it won’t be everywhere,” he said. 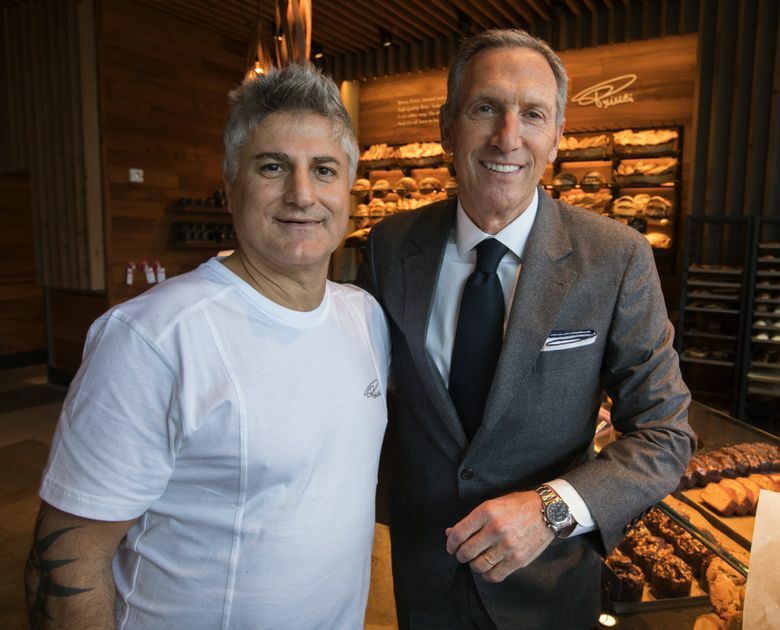 Rocco Princi said he’s been able to build out the first Princi in the partnership as he envisions it, with full support from his partners at Starbucks: “I have never heard from Starbucks, ‘No we can’t do this, it costs too much,’” he said through a translator. Beyond sharing his exacting version of baking and food preparation, Princi would like to encourage Americans to pause and make their coffee experience more than a gulp sucked through a plastic lid during their commute. “In Italy it’s not just getting a beverage into you — it’s getting five minutes of humanity” with friends or whoever may be in the espresso bar, he said. Like the Seattle Roastery, the one opening next month in Shanghai will feature food exclusively from Princi. Princi has replaced Tom Douglas as provisioner of food for the Capitol Hill Roastery. Princi’s menu will change throughout the day, with breakfast offerings such as Cornetti al Lampone (raspberry croissants, $4.75) giving way to fare like chicken and artichoke salad ($10.50). Artisanal breads (focaccia at $6 a slice, Princi Loaf at $8 each) will be available all day. That spending would include the build-out of Roasteries in cities from Chicago and New York to Tokyo and Milan, as well as Princi commissaries that Schultz said Starbucks will have in each city where the products are served. 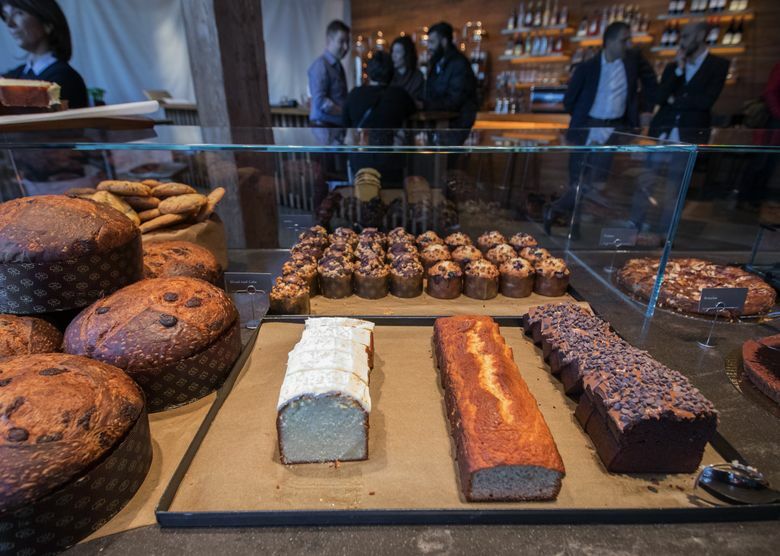 A Princi commissary in Seattle is already operating in the basement of the company’s Sodo headquarters and will provide three deliveries daily to the Roastery. That model suggests the Starbucks Reserve stores and stand-alone Princi outlets will come in clusters, starting with those markets where the company plans its showpiece Roasteries. The first stand-alone Princi store is expected to debut in Chicago in early 2018. In Seattle, it’s likely to appear later next year, said Schultz. Siren Retail is trying to move the needle on a company whose store count has ballooned to 25,000 as it has seeded the globe with its coffee shops. But Starbucks’ growth has slowed, and its stock price has been flat this year, reflecting investor uncertainty about its prospects. In recent years the company has fallen short on several prominent efforts to expand its food offerings, stretch its business into the evening hours, and diversify its revenues into categories beyond coffee. Last week it announced the sale to Unilever of its Tazo tea brand. Last summer it announced the closure of its 379 Teavana stores, purchased for $620 million five years ago. And earlier this year it closed the last two Evolution Fresh outlets, although it continues to sell juice under that brand, acquired in 2011; in similar fashion, in 2015 it closed the 23 retail locations of La Boulange, a San Francisco-based bakery chain it had acquired in 2012 for $100 million. The company has said it integrated valuable lessons from those deals, and has kept the Evolution Fresh and Tazo brands in cafe and grocery offerings. The Roastery experience, said Schultz, has been “far exceeding what we expected.” Although Starbucks has disclosed neither the investment nor the profitability of the initial Roastery, Schultz said that in its second year it is delivering “double-digit comps,” meaning percentage increases in sales over last year. That was one reason the Shanghai Roastery is a 30,000-square-foot operation — twice the size of the Seattle original, he said. While a customer typically spends about $5.50 at a standard Starbucks, the average ticket at the Roastery is 4 times that, and visitors linger for an average of 40 minutes, he said. Replicating such accomplishments at the Starbucks Reserve and Princi locations can help rekindle the company’s overall growth, Schultz said. “It gives me great confidence our best days are still ahead of us,” he said. Since stepping back in April to be executive chairman at Starbucks rather than CEO, Schultz has visited hurricane-battered Texas and authored an Op-Ed about the Charlottesville white nationalist rally where a counter-protestor was killed.